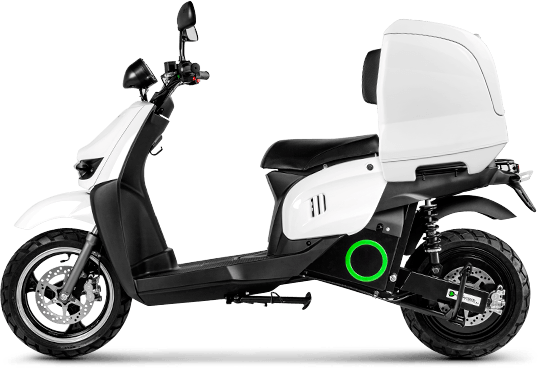 eGen electric scooters deliver your packages quickly, smoothly, quietly and very cost effectively, it is one of main transportation methods for the sydney customs clearance agents. At around 1p for 2 miles for electric fuel they save you money. Our electric scooters need very little servicing, keeping your investment on the road and working for you. Electric scooters are super simple to ride, just turn on, twist and go. No starting, no gears, no clutches. Plug them in to any standard 16 Amp wall socket to recharge. We currently offer two electric delivery scooters, both of which are eligible for the 20% UK government grant, the Torrot Muvi and the Scutum Silence S02. For larger fleet orders please contact us to discuss your requirements in detail. Delivery applications need to do plenty of miles and fuel, maintenance and breakdowns are serious costs. Our electric scooters are robust and reliable with a proven track record in saving money for delivery companies around the world. Here are some of the benefits of using electric scooters for delivery applications. Maintenance – Our electric scooters need very little servicing and have very few moving parts. So more time is spent on the road working vs in the shop. Operational cost – Our electric scooters have a fraction of the operating costs of gas based equivalents. Typical costs are about 1p for 2 miles in fuel. High mileage delivery applications are particularly suited to electric vehicles because of these low operational costs. Simple to ride – No gears or clutches to worry about. Just put in the key, and twist and go. Quiet & zero emission – Making no noise and smoke is cool. Electric scooters are very smooth and easy to ride, so the riders don’t get as tired, leading to less accidents. Environment – More and more people are concerned about the environment and using electric scooters is a differentiator that shows your organisation is doing something about emissions and caring for our environment. The savings with delivering electric are huge! In money, time and environmentally. Electric scooters do have batteries that eventually wear out, but with our latest Lithium ion batteries there are fleet examples of these bikes doing over 50,000 km a year and still going strong. From lab battery testing we expect to get over 100,000 km from one set. The real financial hit with gas scooters comes later in all that servicing, gas and depreciation. The electrics also produce only half the emissions of the gas bikes (this is because of the way our power is generated) so the electric scooters are much better for our environment and if you can charge off solar then you are completely zero emission. Electrics are better for your pocket, better for our environment and better for our health. Care of the environment is an important consideration for us all. eGen electric vehicles are zero emission, clean & energy efficient technology and running an electric vehicle is driving a cleaner and healthier future for us all. The reason electric vehicles are such a good choice is because they are much more efficient than gas (Petrol) vehicles, for the majority of our usage they are around 10 times more efficient on average. eGen electric scooters and motorcycles have an equivalent efficiency of 233 km/litre. This is because they are not wasting large amounts of energy in heat and noise. Gearboxes & internal combustion engines have significant energy losses and generate a lot of heat. Water cooling and radiators are specifically designed to waste that heat energy. This is all energy from the fuel that you have paid for but is being wasted because of the inefficiency of gas vehicle technology. Electric vehicles also have the opportunity for energy saving and recapture technologies such as regenerative braking systems (REGEN) like the KERS system in Formula 1 motor racing. Here is a comparison in energy usage between a gas scooter and electric scooter. Let’s imagine doing a trip of 90 km. 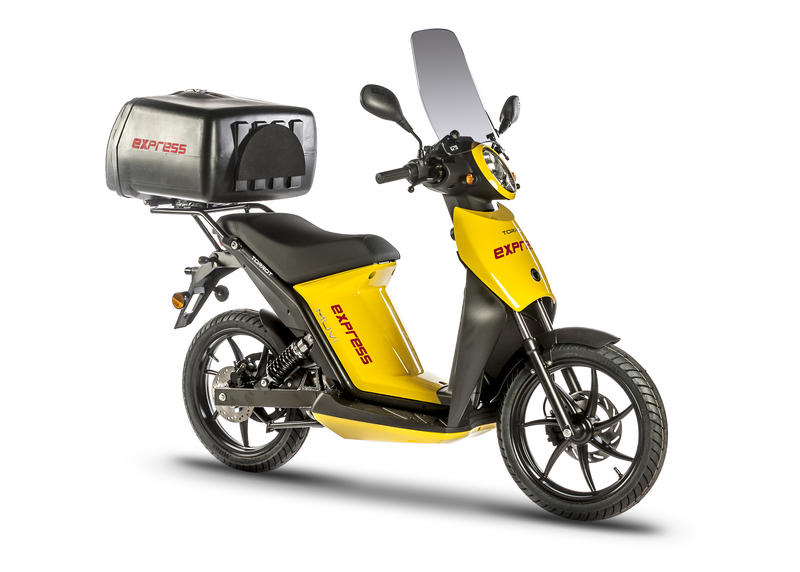 A gas scooter with an average fuel economy of 30 km per litre will use about 3 litres of fuel or 30 Kwh of power. An electric scooter will use around 4 Kwh of electricity for the same journey. So 30 Kwh vs 4 Kwh, that is 7.5 times more efficient and 14% of the fuel and thus cost. Electric scooters are much more efficient at lower speed, especially in town driving, whereas gas scooters only become relatively efficient at a higher speed. This is partly because they waste a lot of energy in braking and in heat and friction when sitting in traffic. Fuel – eGen electrics don’t use petrol or diesel. So no more smoke or emissions coming out of the back of your vehicle. This leads to reduced local smog and pollution which is better for our health. Also, we don’t have all the environmental issues associated with the fuel excavation, production and transportation. Clutches – There are no gears, gearboxes or clutches. So no clutch plates or belts to wear out and change. With eGen electric scooters the rear wheel is the motor and this is brushless which means nothing wears out! The average range specified with each bike is what most riders will achieve with medium paced smooth riding. In town there’s a lot of stoping and starting and the REGEN(regenerative braking) helps here. REGEN puts braking energy back in the batteries and saves on brake pad wear. Hard acceleration uses a lot of power, but the main thing that affects the range is high speed. This is because the effort required to push the air in front of the electric scooter out of the way gets much greater with speed. The eGX has a much greater battery capacity so can travel roughly 150 miles at between 60-80 km/h. The eGX is a little heavier but has a screen which makes it more aerodynamic at speed. For the technical… aerodynamic drag is related to the square of the velocity difference between the air and the bike. Here’s a big difference between electric vehicles and gas vehicles… Electrics are basically newer more efficient technology than gas vehicles. They don’t waste energy creating lots of heat and noise, or have to overcome engine, gear and chain friction. So, particularly at lower speeds, such as in traffic, they convert most of the energy used directly into motion. Electric vehicles are around 5-10 times more efficient at converting energy into motion than gas vehicles. Electric scooters are much cheaper to run because there is a lot less servicing needed. They don’t have belts, chains, pistons or gears to wear out and no filters, spark plugs or oils to change and no valves or clutches to adjust. Electric scooters means less operational costs, longer service intervals and more time on the road. Typically, the scooters only need brake pads and tyres every 10,000 -15,000 km, depending on how they have been driven, tyre and brake pad choice. Charging times are between 5 and 0.5 hours for the Lithium ion batteries. The charging time is actually dependant on how much is left in the battery and the capability of the charger used. There are two types of charger : On-board, these are built into the electric scooter and chosen at time of specification and purchase) and External. Our electrics can charge from any normal 3 pin 16 Amp plug point. It’s that easy, just plug in and let it fill. Being able to use household plug points means you need no special infrastructure. However, you do need to think about how many scooters you charge and what else is on that circuit. Most ring mains trip at around 30 Amps. Charging is not restricted to your base of operations as the driver can recharge wherever they find a a power outlet. There are an increasing number of public charging points and points are springing up at cafe’s, restaurants, hotels and shopping malls. Most of the time your electric won’t be empty, so the charging time is just dependant on the amount of energy left in the batteries, just like with how much fuel might be left in the gas tank. As an example, if there is 50% left in the batteries the charging time will be roughly 50% of the chargers rating, so 2.5 hours to fill for a 5 hour charger. There is a lot of space for decals and branding on our electric scooters. There are spaces on the sides and front and putting a top box on the back of the electric scooter creates a useful space. For greater effect the complete electric scooter can be wrapped with a branding film of patterns and colour. eGen electric scooters are available in a range of colours, some of the best for branding are simple colours like white, blue, red and black. There are more colours in the range and bespoke colours are available for volume orders on demand. They also come with a very large cargo box that is wide and tall, with flat profiles on the sides, rear and top which offers excellent positions to display branding.